Sources in the government said the Finance Department, which had been objecting even to the practice of serving tea in government offices to cut down on expenses, has approved the purchase of the luxury cars. At a time when the debt-ridden Punjab government is unable to pay salaries and pensions to its serving and former employees, or allocate funds for subsidies and social welfare schemes on time, it is all set for a nearly Rs 100 crore luxury ride. The Congress government in the state led by Chief Minister Amarinder Singh, which harped a lot last year on shunning VIP culture and wasteful expenditure after it came to power, is all set to splurge on buying 434 new luxury cars for the chief minister, ministers, lawmakers, top officers and a few other functionaries. Sources in the government told IANS that the Finance Department, which had been objecting even to the practice of serving tea in government offices to cut down on expenses, has approved the purchase of the luxury cars. The Punjab government is said to be under an ever-mounting debt of over Rs 2 lakh crore. 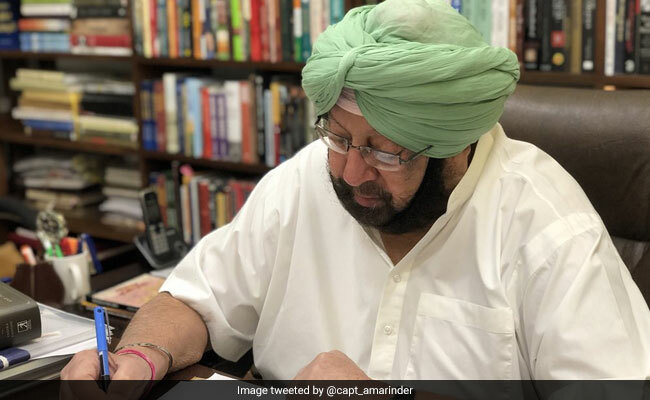 Amarinder Singh, who is otherwise well-known for flying in the state government helicopter and aircraft within the state and to New Delhi and other places, will get 16 brand new bullet proof Toyota Land Cruiser luxury SUVs in his fleet. The chief minister enjoys Z-plus category security cover. "Each of these vehicles will cost over Rs 1.70 crore with the bullet-proofing and other works inside," a senior officer told IANS. The new purchases are being justified in official files by pointing out that the earlier vehicles have outlived their utility or have run the maximum permissible mileage under state government rules. The security vehicles in the chief minister's fleet will also be replaced with SUVs and multi-purpose vehicles (MPVs) like the Toyota Crysta. The 17 cabinet ministers will get Toyota Fortuners. Nearly 100 Toyota Crysta MPVs are being bought for the legislators in the 117-member assembly (the remaining legislators are ministers and government functionaries and are entitled to better vehicles). These include over 30 opposition legislators too. Each MPV is priced between Rs 20-24 lakh. Five vehicles of the Punjab Raj Bhawan (Governor's House) are also being replaced. Punjab's Advocate General and the state Chief Secretary will also get better comfort with the government approving the purchase of the new Toyota Fortuner SUVs for them. These vehicles cost around Rs 35 lakh each. Other top bureaucrats and officers in the government will also get 29 new Toyota Crysta MPVs. Several other cars are planned to be bought for senior and middle-level officers of the Punjab government. These include Maruti Suzuki Ciaz, Dezire and Ertiga vehicles. But not everyone is happy about the list of officers and functionaries prepared by the Punjab transport department who will get the new vehicles. "The cars of several departments, commissions and other state government undertakings have outlived their utility in recent years. There is no sign of replacing them as the state government does not have money. Many field officers, who have to make genuine trips across Punjab, too are not getting vehicles," one officer pointed out. For the chosen ones, in the days to come, the ride is all set to get more luxurious and comfortable.